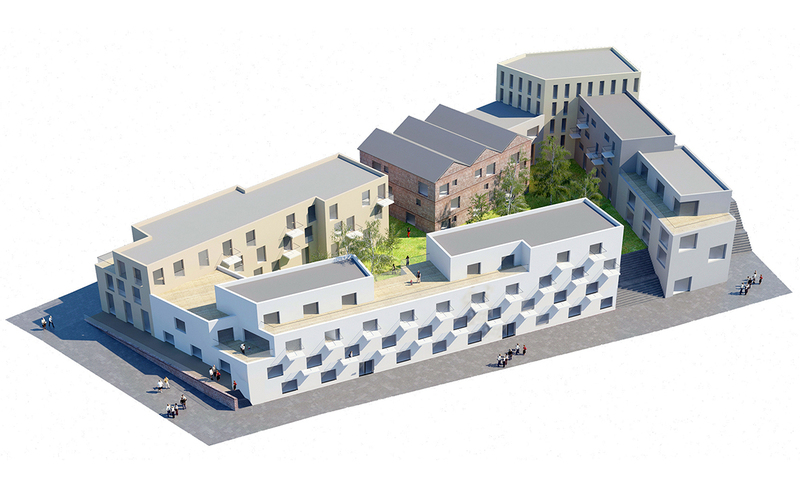 karres+brands in collaboration with Urban Agency and Urbanization.dk, won the competition to transform Maria Hilf hospital area into a new residential development. The site is located at the edge of the historical center of the German town Mönchengladbach where in the coming two years the city plans to realize a new neighborhood. 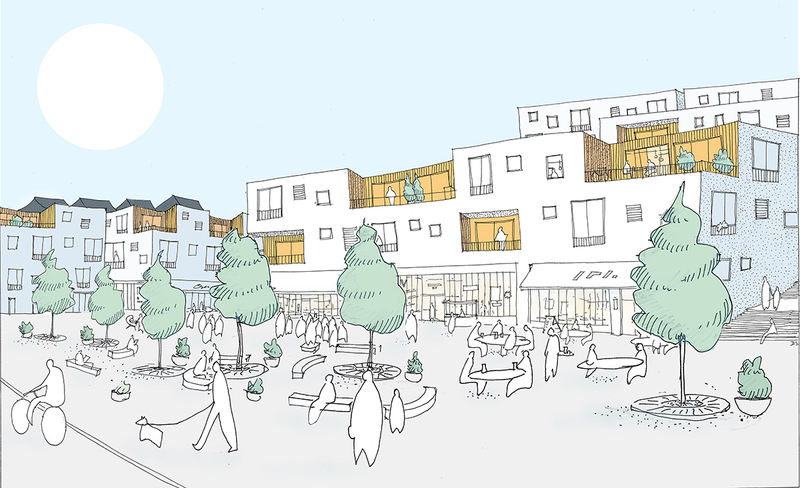 The hospital functions will be abandoned and the site will begin its transformation into a vibrant housing area anchored in the surroundings. 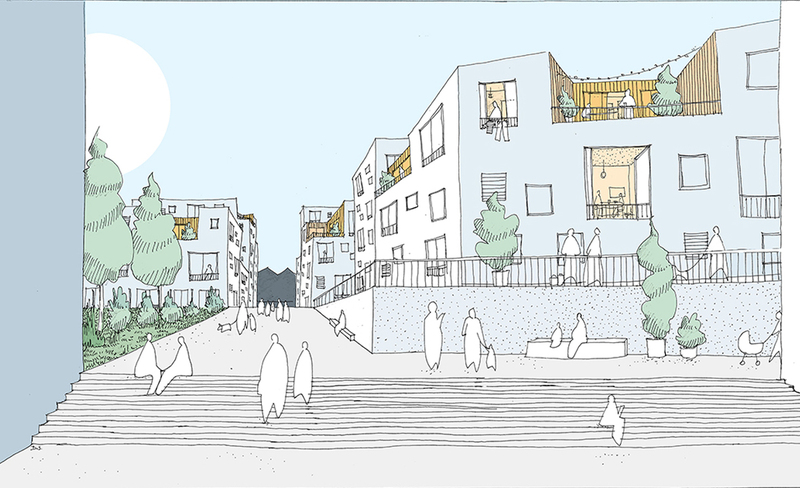 Our proposal is defined by a robust urban framework, with terraces of building blocks and a new barrier free path meandering through the site. It bridges the gap between the lowest and highest point and creates level free access for all. The path exemplifies our main vision for Maria Hilf Terraces; to create a new urban neighborhood for all. During a one week workshop, 5 selected teams worked intensely in collaboration with local citizens and stakeholders to develop a future vision for the old hospital site. Today the site is strongly divided by fences, closed perimeter blocks and a height difference of almost 10 meters. The topography is a distinctive feature of Maria Hilf, but at the same time forms an unbridgeable barrier for the elderly and disabled citizens of Mönchengladbach. In the winning master plan we introduce a series of plateaus which spread out the concentrated height difference of the site and mimic the characteristics of the surrounding city. A barrier-free path forms the backbone of the new neighborhood and seamlessly bridges the gap between the lowest and the highest point of the site. It meanders through the site, creating a string of public spaces, which draw upon the DNA of Mönchengladbach opening up to impressive views and strengthening visual connections to important landmarks. Maria Hilf Terraces is not only a lively urban neighborhood, but is an important new connection in the city. The site links the old town and the Buntergarten to the north and forms the missing puzzle piece in the series of green parks and public spaces running from south to north of the city. 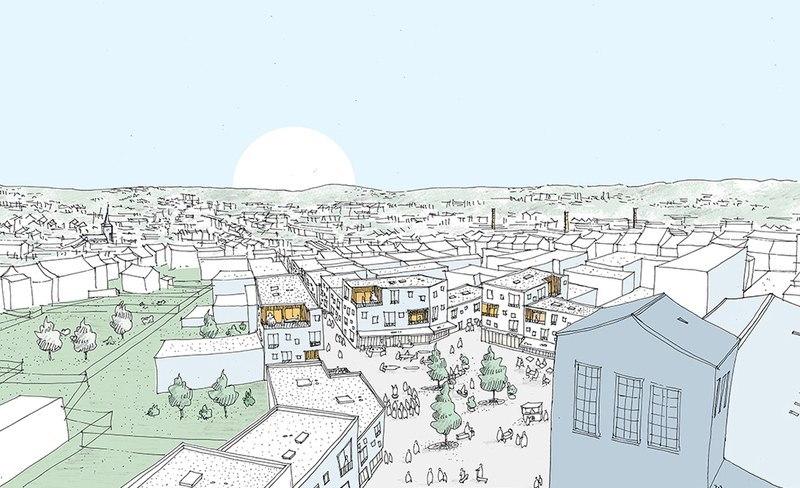 By opening up the block and highlighting important pedestrian connections, the master plan strengthens the pedestrian network for the citizens of Mönchengladbach, activates the bordering streets and ensures a complete integration of the new neighborhood into the urban fabric of Mönchengladbach. 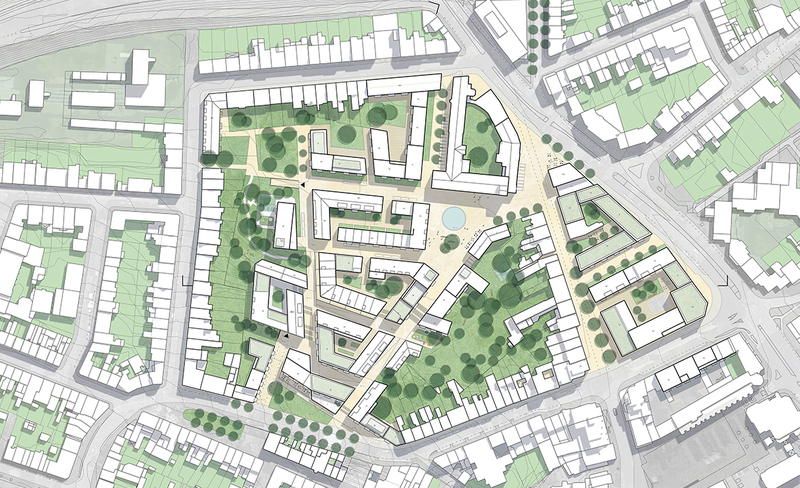 The framework of the master plan provides a variety of possibilities for residential typologies; from buildings in the green, apartments overlooking the landscape or the possibility of smaller development groups. As a continuous line through the plan,the urban development mimicsthe DNA of the city, with its colorful variety of facades, a strong defined edge to the outside and an open courtyard with a richness of recesses, extensions and notches, creating an exciting edge zone between the courtyard and the building.The terracing of the site furthermore ensures an optimization of sunlight and views towards the city for the future development and creates comfortable microclimates, protected from the southern winds.